It is October 3. On the third day of every month, TeamYu (@TeamYuNeedsYou on Twitter) organizes a Tweet-a-thon in an attempt to get Sega to release the Shenmue license to Yu Suzuki, the creator, so he can do Shenmue III. As most of you should know, I am a fan of the original Shenmue, which I reviewed in my original 30 Reviews in 30 Days. As big a fan of that game as I am, however, I had never finished Shenmue II for the Xbox. Part of the reason for this is the game just starts out very slowly, and it does not quite live up to the standard the first one did. Still, as a fan of the series, it is a game I needed to play, and so I set out to beat the game so I could review it for this iteration of the 30 Reviews. I am glad I did. Though not without its flaws, Shenmue II is still a good game, and fans of the series really should play it. The settings in this game are truly impressive. 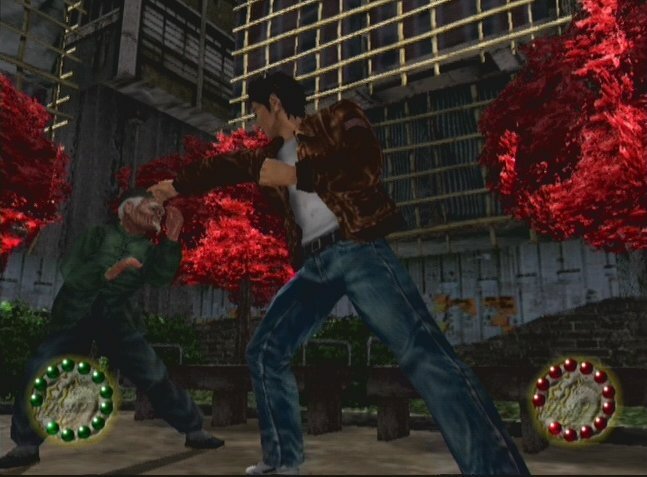 In case you are not familiar with the story of Shenmue, the first game opens with Ryo Hazuki watching his father murdered before his eyes by Lan Di. His search for revenge eventually leads him to Hong Kong, and this is where Shenmue II starts. Immediately after getting off the boat in Yokosuka, Ryo is robbed, and this leads him to meeting two of the major characters in the game: Weng (or Wong in the US version), a young orphan who goes from accomplice in the theft to helping Ryo in his quest and Joy, a motorcycle driving socialite who helps direct Ryo to where he can stay and start his investigation. Form there, it turns to the gamplay fans of the series know all too well: getting a job to help raise money and tracking clues to the whereabouts of Chi You Men, the criminal organization Lan Di is part of. One of the things that continues to set the Shenmue series apart is the attention paid to the development of the characters. Hong Xiu Ying is a great example of this. When Ryo frist meets her, he is looking for Master Li Shao Tao. At first he thinks she is just one of his disciples, only to find out later she is “him.” She is reluctant to help Ryo, advising him that his quest for vengeance will consume his life. As you learn more about her past and family, you come to understand why she holds that view, and over time she shares a couple of key moves with Ryo which become very important later in the game. Sparring partners help you practice new moves. The original game found a way to blend open world adventure with a 3D fighting mechanic, something Yu Suzuki is well versed with as he was also the creator of Virtual Fighter. Shenmue II refines this, giving you the ability to learn more advanced moves which can help when dealing with multiple enemies. 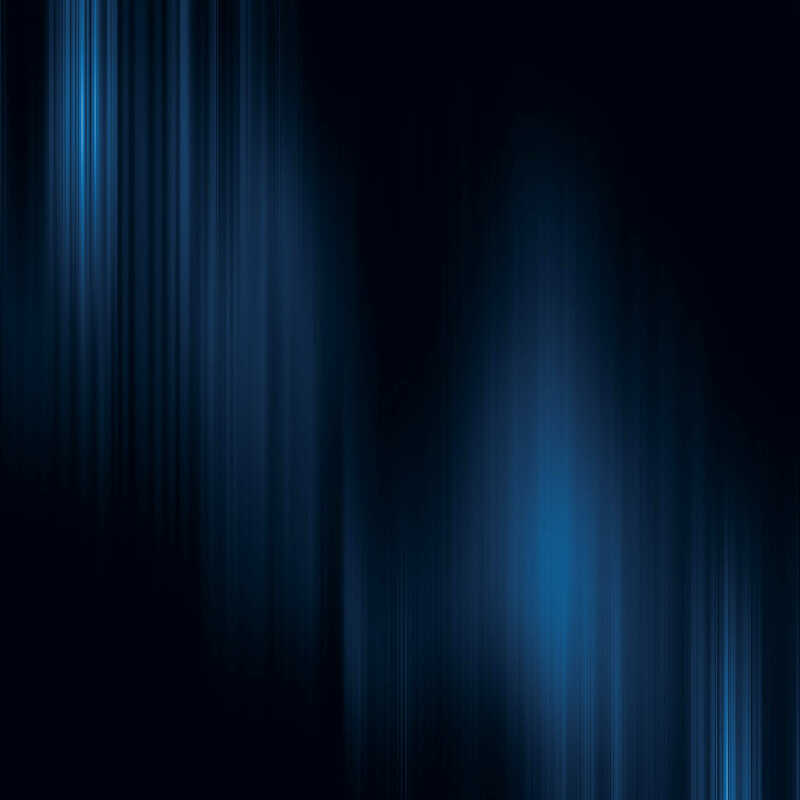 This becomes very important, as you are rarely facing just one opponent at a time, and when you do, you will be glad you have taken the time to practice those moves. Practicing them is important, because the more times you use a move, the more proficient Ryo becomes with it, and the more effective it will be when you need to use it later. Unfortunately, not everything about the sequel is a step up from the first. One of the first things you will notice about Shenmue II is it is a slow burn. The first game opened so powerfully with the death of Ryo’s father. The second just kind of fizzles. Sure, your stuff is stolen, and you launch into a Quick Time Event (QTE from here on out, which is what the game actually calls it), but that does not have anywhere near the same punch. Even the early part of the investigation to find Master Li Shao Tao starts slowly, and once you do find her, you get the wonderful reward of taking stacks of books out of the temple library to air them out, a combination game of free movement, QTE and time limit that will get very old very fast. Really, it is not until you stumble across a letter written by a friend of Ryo’s father where he was trying to warn him about Lan Di that the game starts to pick up, and this is far enough into the story that those not familiar with the series may stop playing before getting there. QTEs are furstrating enough without making them this complicated. Another area where the game falls short of the original is in the aforementioned QTEs. While these could be annoying in the first game, they were still a relatively new phenomenon, and gamers were willing to put up with them. 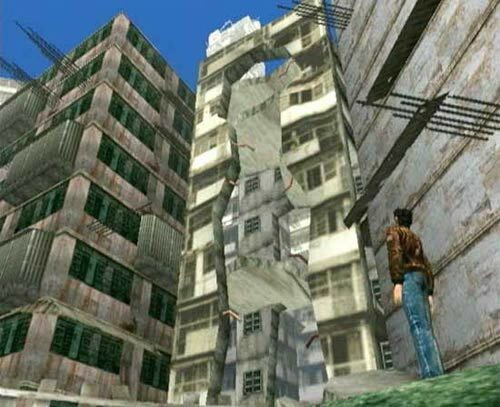 In Shenmue II, not only are they not all that new, but they are a lot more complex. You will find many occasions where instead of just getting a direction or a button, you will be presented with a D-Pad and buttons which must be pressed in the correct order to pass, and many of them must be passed or you will not advance. These sections become much more prevalent during the climax of the game, which makes them very annoying. That climax is where the game turns really odd. After the big battle that is seems like should have ended the game, Ryo goes to a new area where he meets Ling Shenhua. Ling is the girl who appeared in his dream in the first Shenmue, and after walking with her to her village, you are faced with a brief glimpse of where Suzuki wanted to take the story from there. This sequence, which will take a decent amount of time to play through, does seem a little out-of-place at the end of the game, but it is interesting enough to keep the true fan playing. While Shenmue II does not live up to the standard set by the original game, it is still a game worth playing, though much more so for those familiar with the series than those who have not played the first. Once you truly get into the meat of the story, it is quite good, filled with rich characters and experiences few other series can provide. Shenmue was a revolutionary game when it came to creating a living, breathing open world Japanese city to explore, and the sequel more than matches that with the various locals you will visit on the quest to find out what Lan Di is trying to do. As a fan of the series, I really want to rate this game a little higher than it deserves. In the end, however, I must take into account that someone who has never played the original Shenmue would have a hard time staying interested enough to get to the parts of the game that are truly worthy of playing. With that in mind, Shenmue II gets 7 out of 10. So I reviewed Shenmue for the first 30 Reviews in 30 Days. I have now reviewed Shenmue II for the second. Hopefully by the time I get around to doing a third installment, I will be able to review Shenmue III. 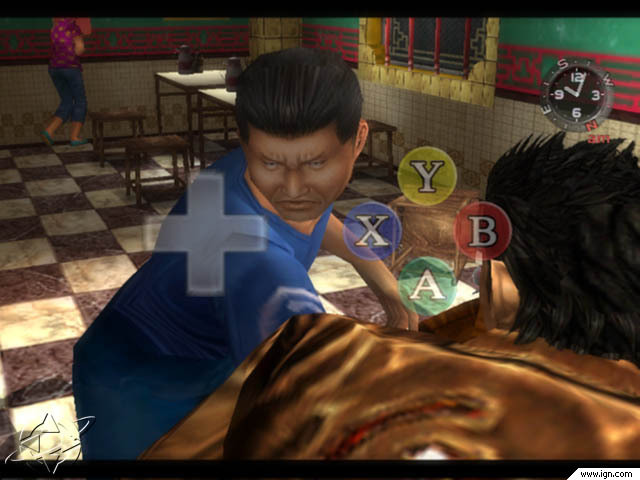 Sega, give Yu Suzuki the Shenmue license already. This entry was posted in 30 Reviews in 30 Days, Retro, Retro Active, Reviews and tagged review, sega, shenmue, SHenmue 2, Shenmue 3, shenmue II, shenmue III, temyuneedsyou, Yu suzuki. Bookmark the permalink. Hopefully one of thewse days we will get Shenmue 3.